We are leading Importer & Exporter of Electric Resistance Welded Tubes. 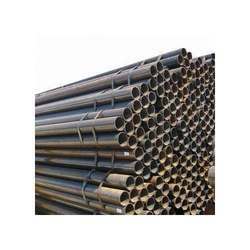 Our product range also comprises of Carbon Steel Pipes, Alloy Steel Pipes and Steel Pipes. Our products are manufactured using optimum quality raw material by reliable vendors of the market. We are one of the leading wholesaler and exporter of a wide range of Electric Resistance Welded Tubes. These tubes are manufactured using optimum quality raw material by reliable vendors of the market. Moreover, in order to remain at par with the set industry standards, the entire range is tested on various well-defined parameters before the final delivery. Looking for Electric Resistance Welded Tubes ?